With Tuesday night’s game still fresh in the mind of the two teams, there is no real chance to catch breath before Game 2 of this playoff series. The hosts will be keen to add another victory to their strong record and they know that things will be an awful lot tougher when they arrive in Madrid last week. The Tuesday night victory was the 20th Euroleague home victory in a row for Fenerbahce and they remain undefeated at home this season. 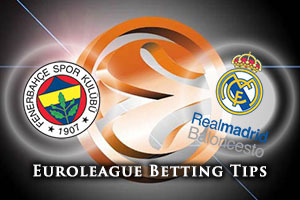 If they maintain that run this week, they will travel to Madrid by the greatest confidence and one away win would see them through to the Final Four.Of course, if they do come back to Turkey in Game 5, it becomes a winner takes all situation and staying undefeated in that would do the same job. Bogdan Bogdanovic and Ekpe Udoh were in excellent form on Tuesday and Fenerbahce benefitted from having a strong bench, wuth Kostas Sloukas shining from that role. Some home players may find it difficult to get back into the rhythm of the game so soon after their exploits on Tuesday, but they have a squad that can stand the pace. While Real Madrid lost on Tuesday night, they will have some optimism about the second match in the series. Quite frankly, the shooting of Rudy Fernandez and Sergio Llull cannot be as bad again on Thursday as it was on Tuesday, so if these two players improve, things could be a lot brighter for the away team. There were plenty of areas for improvement for Madrid on Tuesday night and yet the game went to the last minute, which suggests that they weren’t too far away. If Gustavo Ayon can improve his form, Madrid may be smiling on the plane home. The bookies back the hosts, and with their record, you have to. 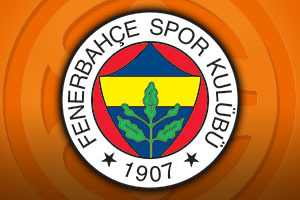 You can take Fenerbahce Istanbul at -3.5, at odds of 1.90. When it comes to the Over/Under market, you should look to go UNDER 158.5 which is also on offer at odds of 1.90. Bet Now!